Our Management - Sacramento Valley Board of Trade, Inc.
Larry Cassidy is the President of Northern California Collection Service and its sister companies Sacramento Valley Board of Trade and Pacific Board of Trade. Founded in 1963, NCCS is one of the leading commercial collection agencies in California. The SVBT provides credit reporting, networking, and management tools for the media, food and liquor industries. Located in Honolulu, Hawaii, the PBOT provides commercial debt collection services for Hawaiian credit grantors. 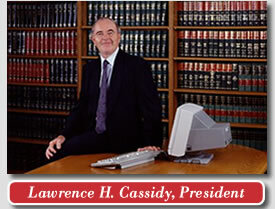 Larry has served as Chairman of the Legislative Council of California Association of Collections. In that capacity, he has introduced or been instrumental in the majority of new laws in California that govern the collection of past due debts. He has also served as President of the California Association of Collectors, California Commercial Collectors Association and American Commercial Collectors Association for the United States, Europe and Asia. Larry is also Director of the Commercial Law League of America. 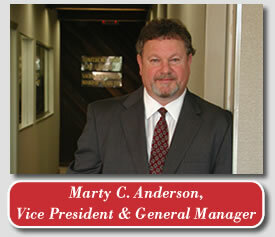 Marty joined Northern California Collection Service in 1990 after serving as Collection Manager for a 75-store national jewelry chain. After graduating from Sacramento State University with degrees in journalism and communications, he has spent the past 30 years working in the credit and collections industry. 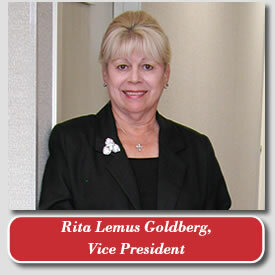 This experience in the industry also includes his past position as Vice President of Northwest Creditors Service Inc.
Rita is a native of California, living in Sacramento since 1952. After graduating from Sacramento High School and attending college locally, Rita went on to enjoy a very successful career as a hairdresser before going to work for Clairol as a Territory Manager for 10 years. She is married to A.S. �Bud� Goldberg, local architect, who along with Roger Scott were known as Studio One. They were some of the first architects to begin redevelopment of Old Sacramento. Rita is also an active member of the Soroptimist.